There are literally hundreds of varieties of wildflowers in the southern Appalachian Mountains. Blooming begins in March and continues into late October and early November. I've kind of arranged this gallery by color, so hopefully that will make it easier for you to find a flower you are trying to ID. I've also added separate galleries on the first page for specific types of flowers like trilliums, violets and native orchids so all of those will be grouped together since they vary in color. A very few of the flowers here are not native to this area and might be an invasive species. If you spot an incorrect ID, feel free to let me know. I use several books and online sources and do the best I can. Please click on the thumbnail for a larger image. Hi Sarah - thanks for your kind comment! Each color section is kind of (but not exactly) arranged by season with the spring bloomers at the first of each section and the fall bloomers at the end. It's very tough to do because of the wide difference in elevation. What blooms in late March in the mountains of SC might not bloom until late April in the higher elevations of NC or TN. I think I have dates on all of the pictures which might also help you. What a beautiful gallery! I'm trying to learn some wildflowers so that I can teach my kids. Do you happen to have these listed by bloom season? It would be a great help in order to prepare. Thanks! This is AMAZING work! This is so incredibly helpful! Thank you one thousand times! Hi Cori - no I don't know, but they sound beautiful! Do you have any photos? I'm in Middle Tennessee, about twenty miles due south of Cookeville, and I have some tall white lilies that I first noticed on my place last year. They look for all the world like Easter lilies, though they have very little scent, but they mature anywhere between 4' - 8' tall, with several blooms at the top of the stalk. I've spoken with neighbors who have seen these lilies elsewhere in Tennessee, since they were kids, so I'm wondering if you might know what they are, and whether they are native or invasive. Love your site - I'll spend more time on it when I'm able. Oi, eu acho que seu site pode estar tendo problemas de compatibilidade do navegador. abrir no Internet Explorer, aparecem algumas sobreposições. i would suggest the smoky mountain wildflower guide by the Hutson father son team because it was great and well organized and answered every flower question I had up until around halfway through the AT. found flower name i looked every where for, hedge nettle, whorled loosestrife, fly poisoin, and i figured out the difference between wood sorrel and spring beauty. What is the large, tall plant by the Clingman's Dome Trail that attracts so many bees? It has agreenish inflorescence. I haven't seen any showy flower on it. This is extremely helpful; thank you! Thanks so much for these. Hiked in upstate SC today, saw a beautiful red flower. Found it on your site. Indian pink. Was too hard to find just a simple name like "Fern Frond 3" can be confusing, but "Fern Frond" is much more simpler. But u still did an AMAZING job and had put much dedication in this website. Good Job..
As a native of Hendersonville, I came across your wildflower photographs searching for answer to a friend's request for a Franklin, NC Greenway shrub that"...has white pannicles similar to Butterfly bush, leaves larger than B.bush but can't go farther w/ details of leaves. Shrub not compact and on slope seemed 5+'. I saw it on the Greenway, left side between start and the 1/4 mile marker." Rich, I've never known you but wonder if you live near my home? Your photographs are beautifully done and amazingly extensive. If I were to want to use in a book I'm writing, what is your requirement? I am an amateur photographer and I have come across a wildflower found and photographed in Deep Gap, Clay County, western NC that I have not been able to ID. It is 5 petaled with a yellow 5 pointed stamen. How might I send a small jpg file for a positive ID? Excellent reference! I flyfish in the back country around the Smokies and see many of these. Fantastic! I use this gallery to help me ID flowers I see. Maybe a Speckled Wood Lily?? Wow. You have amassed an incredible collection of blooms here. I will be taking a hiking trip through the Appalachians and hope to catch some shots of some of the blooms you have here. Thank you for sharing your collection! A great works and fabulous collection!!! I thru-hiked the Appalachian Trail last year and you helped me out immensely by putting names on most of the beautiful flowers I took pictures of. Your pictures are very beautiful. Thanks a lot. Magnificent. Huge amount of work, no doubt over years, has gone into this. Thanks much and congrats on the accomplishment. That plant is in fact a sedge in the genus Cymophyllus. It is likely C. fraserianus (Fraser sedge). This is just a guess, but it might be a type of sedge. Thanks for the nice identified photos. I could not find the wildflower that my sister came across (see link below for a photo). Have you seen it and do you know what it is? Very beautiful gallery of wildflower pictures. That took quite a bit of time and effort to build such a collection of photos. The pink lady slippers 1-6 are often called "stemless lady-slippers" because the true stem of the plant is underground. The other name for them is pink moccasin. Also you have some pictures of yellow lady slippers. 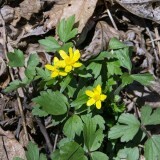 That is the correct name , but they are also known as yellow moccasins because of the side tendrils or petals. Once again- great photos- thanks for sharing. You've definitely done your homework. I was researching the name of a species I had not encountered in our beautiful Appalachian Mountains and found it here. Beautiful photography, well done web site, and enough information to satisfy most of us. Thank you! Wow ! What a collection. I *love* your photo album. I'm originally from Georgia, and miss my Appalachians and the beauty they hold in store for anyone willing to take the time to look. Thanks so much for sharing! An outstanding website Rich, excellet photos. Thank you for these beautiful photographs. Many of these wildflowers grow in the woods behind my home in Pennsylvania, but the rarer, and/or Southern wildflowers, I've only seen in photographs. If I never get to walk the woods of the Great Smokies, you've at least allowed me a glimpse of the beauty found there. Thank you so much. I have recently started to i.d. wildflowers on my walk to make it more interesting as I hate to exercise. This collection has shown me some flowers that the wildflower book that I bought did not have. Thank you for sharing. I walk in the Nanthahalia Forest area of Hayesville, NC. I love your wildflowres. I will definately share this site. Thanks!!! Superb and brilliant collection of wildflowers!!! I love how you've identified them (sure helped me identify one today -- thanks!) Huge V!!! I am from Colorado and never knew columbine grew this far south until I lucked upon one growing in the wild. It is now one of my most prized plants. Hey: The FRINGED PHACELIA was the wildflower that brought me to your site. This is THE BEST Exhibit of our wonderful Appalachian Wildflowers. I have tried three times to MAKE OCONEE BELLS grow in my wildflower setting. WHAT IS THE SECRET to growing these BRAVE FLOWERS? I really enjoyed your pictures. I could look at them for hours!! I need someone to identify a some flowers I found growing in our yard. They are in the shade. Large pink multi-layer blooms, about 18' tall. I can send a photo. Please email me at lwright@aladdin-properties.com if you can help. Your photography is incredible! I viewed your photos with amazement! 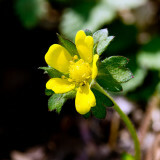 Great photos of wildflowers - big and beautiful collection! I like them very much. I love Veronica perica ! Thanks for displaying the photo and name of this plant. My husband and I are new to the area and marvel at this beautiful groundcover - a carpet of blue flowers in March. Some might call it a weed. . I think it is beautiful as a lawn and seems to be nicer looking and lower maintenance than grass. Long live V. p.! Great pics! I am also a photograher & backpacker! Hi, Craig! I love the soft colors and textures. Your flowers photos have an aire of mystery. Your photos are wonderful - both the wildflowers and the falls. Love the descriptions of the falls and the "how-to" information. This is our first visit to the area and it's breathtaking. Sweet! We will be in Hanging Rock August 2-15, so we are looking forward to seeing lots of wonderful things...is there anything in particular we should keep an eye out for in early August? I am working my way through all your galleries and each one is so amazing. Thank you for sharing your beautiful photos. 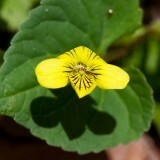 Also thanks to the Greenville News for posting your website in their article on Oconee Bells. Thanks falls lover! I'll be up there next week end. For those interested the trail to Station Cove Falls is covered in trillium now. I should have never left the beauty of the mountains. How do you ever get any rest. I can see how all this beauty must sooth you it certainly does me. Great job! I am in Yancey County and spend a lot of time in the outdoors. I love your site. How wonderful that you've taken the time to create this awesome website and share all the beauty! Very inspiring!!! Your photos are amazing! My husband and I are heading to the Blue Ridge area on Monday from San Diego. Your website and these photos have gotten us really excited to go. Thanks! The pictures are just wonderful! I have done a little of this type of photography myself, and it is quite fun! I wish that you would consider having something on your site that gives tips for photographing wildflowers, waterfalls, and other outdoor sites. Keep up the good work. I found the site very informative. Excellent photos, too. I would like to know the common names of the plants where possible. Thank you very much for this site. Wonderful picutres!!! Thanks and please always include the Common name for some of us Non-scientific types!!! Like the Trillium Erectum---we call it the Wake Robin and we have lots of them on our mt. place at Cattail Peak, Yancey County! i feel like i have gone on a private vacation. your gifts are like dimonds everywhere you turn. Thank you and keep up the good work. ps. i love that u have titled the flowers, falls, and in some instances, spoken about the trials and tribulations of the experiences. i like that. it makes the picture's story come more alive. Which is the obligation the photographer has to learn to convay to educate the public and become one with nature. Bravo.